This post introduces how to recover deleted photos from exFAT memory card. 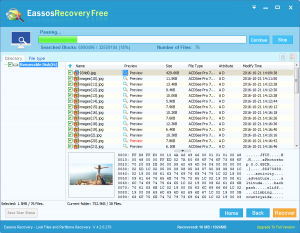 exFAT photo recovery can be an easy task if you use Eassos Recovery. No need to worry. exFAT recovery is not that difficult as long as lost files have been overwritten. exFAT file system is one of the most commonly used file system type. It does not have limitation on partition size or single file size. It is able to store a file which is larger than 4GB. Besides, it is compatible with Windows, Linux and MAC OS. If files are deleted from exFAT drive, they are not permanently erased until files get overwritten. That means you are able to get deleted file back once your recovery software supports exFAT drive. 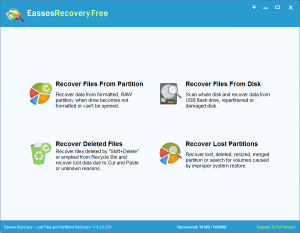 Eassos Recovery free is free and user-friendly exFAT data recovery software and it has the ability to recover deleted photos and other data from exFAT / FAT32 / NTFS drive. 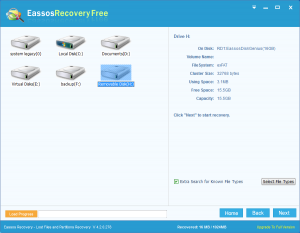 it can recover permanently deleted data removed by shift + delete or emptied from Recycle Bin. Moreover, it recovers formatted exFAT / FAT32 / NTFS partition. 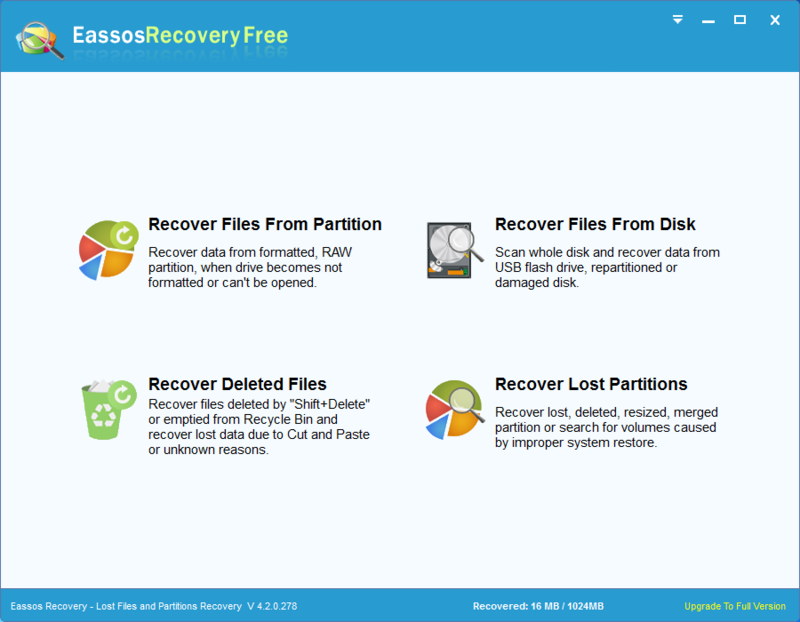 As powerful recovery software it is compatible with all kinds of storage devices like HDD, external HDD, flash drive, SD card, TF card, etc. 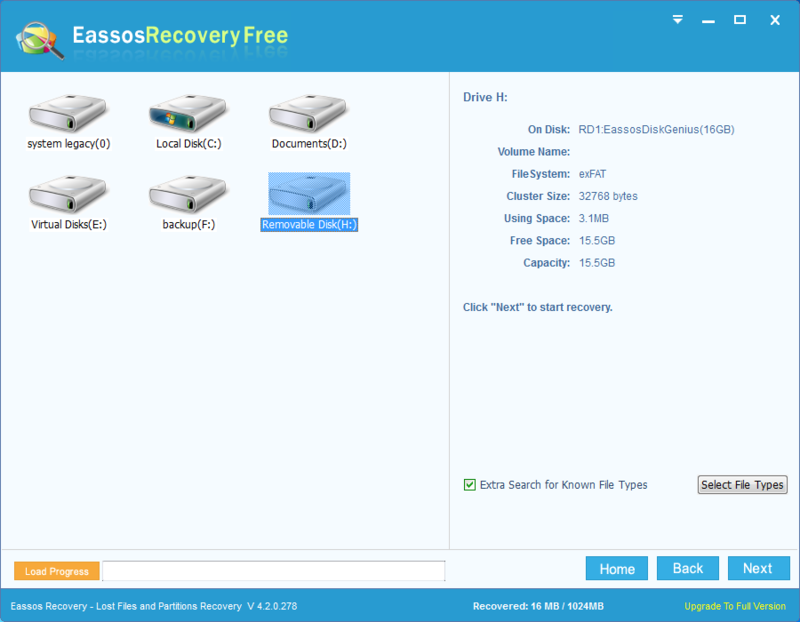 After starting Eassos Recovery Free on your computer, you’ll see four recover modes on the interface. To recover deleted data, you should select “Recover Deleted Files”. Select the icon that represents the exFAT drive where lost photos were stored on and click “Next” button to start scanning process. 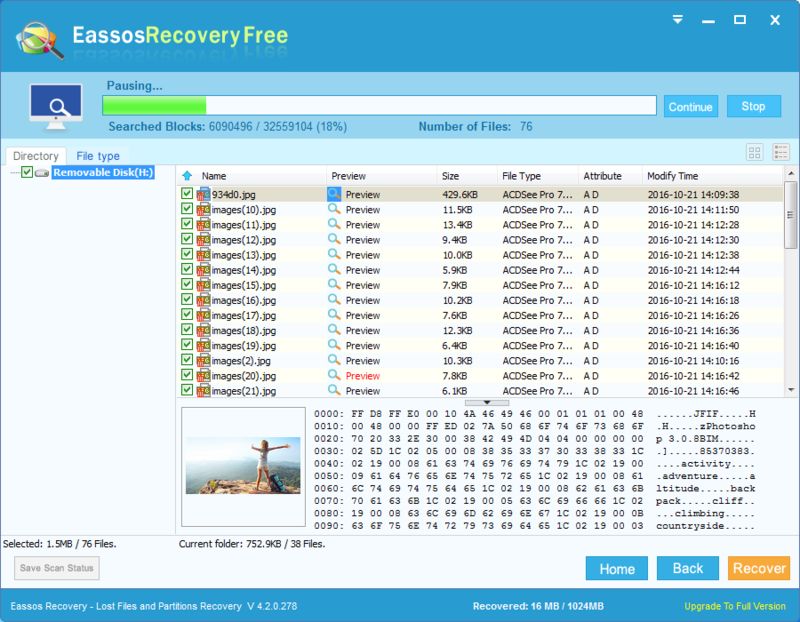 Eassos Recovery Free displays lost files it just finds out so that you can click “Preview” to view file content. You can click “Pause” button to pause the scanning process and recover files. Select photos you want to restore and click “Recover” button. This entry was posted in Data Recovery and tagged exFAT data recovery software, exFAT recovery, recover deleted photos by EASSOS. Bookmark the permalink.